International Talk Like a Pirate Day is September 19, and if you’ll be visiting Walt Disney World Resort, scuttlebutt says Disney PhotoPass Service has the perfect way for you to capture your inner buccaneer! 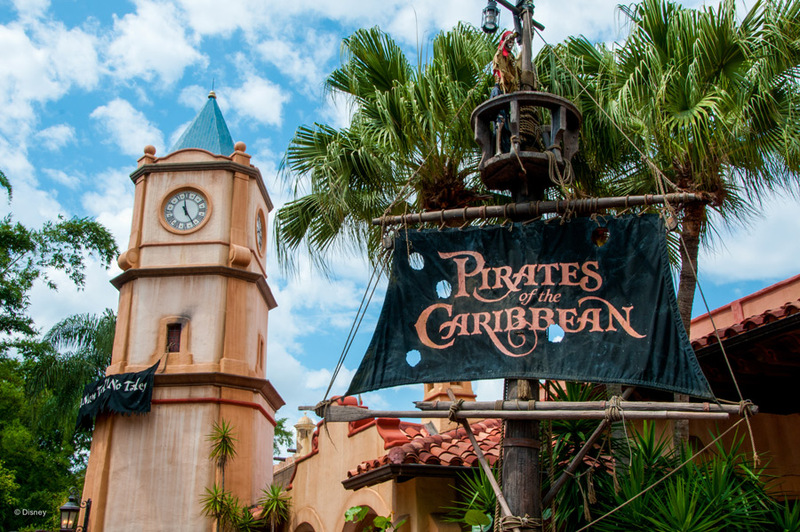 On September 19, you can visit the PhotoPass photographer across from the Pirates of the Caribbean clock tower from 10 a.m. – 7 p.m. at Magic Kingdom park (weather permitting) to take the Pirates of the Caribbean-themed Magic Shot above. Not sailing to Walt Disney World Resort on September 19? Throughout the year, PhotoPass offers so many ways for you to bring home mementos of your adventures in piracy! Check them out below. Adventurous junior pirates who are chosen to train during Captain Jack Sparrow’s Pirate Tutorial in Adventureland will have their swashbuckling skills documented by a PhotoPass photographer. Seafarers who drop an anchor at Disney Springs should visit the Disney PhotoPass Studio in the Marketplace and ask a photographer for a pirate-themed virtual backdrop! After you’ve collected your bounty of PhotoPass photos, you can visit MyDisneyPhotoPass.com to add pirate-themed borders to your treasured memories. Don’t want to cast away any of your PhotoPass photos? With Memory Maker, you can download all of your Disney PhotoPass photos from your Walt Disney World Resort vacation for one set of doubloons. *To preview, purchase and download this attraction photo, you must be wearing an active MagicBand linked to your My Disney Experience account.